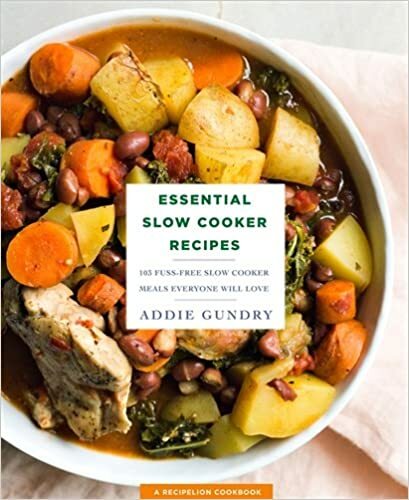 TAKE A FEW LESSONS FROM ADDIE GUNDRY AND LIFE WILL BE AWFULLY TASTY! You can dress it up or dress it down—on the grill, in a sandwich, soup or salad, glazed, baked, pan-seared, fried, kid-friendly, decked out on the holiday table or as an appetizer on game day. Is there any food so versatile as chicken? 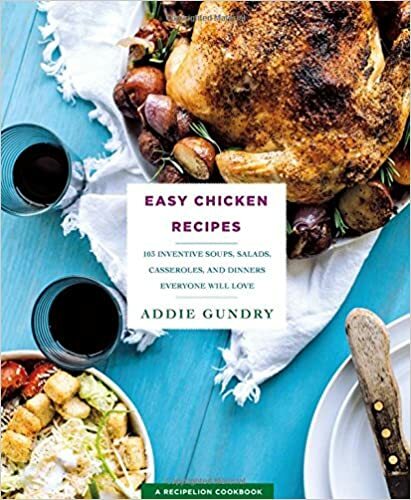 In her newest cookbook Easy Chicken Recipes: 103 Inventive Soups, Salads, Casseroles, and Dinners Everyone Will Love (St. Martin’s Griffin, $19.99), Food Network Star finalist Addie Gundry approaches a chicken like a blank canvas, bursting with possibilities. For any occasion, for any cuisine, from French to Indian, Chinese, Mexican and everything in between, chicken will always prevail. Gundry skillfully shows home cooks how to master and reinvent it. From a perfectly golden roaster chicken surrounded with herbed potatoes to soups, salads, and casseroles that make myriad uses of the resulting leftovers, Easy Chicken Recipes is perfectly poised to answer home cooks’ boredom with and reliance upon the old standby: a chicken dinner. Each recipe is paired with a gorgeous, full-color, finished-dish photo. Here, she shares one of her favorite dishes. We tried it and have two words: “easy” and “yummy”! This dish has a beautifully golden crust. The biscuits on top look like a lattice on a pie or a wicker basket. Not only the perfect comfort food, this recipe is also a showstopper for any potluck. Preheat the oven to 350ºF. Coat a 9 × 13-inch baking dish with cooking spray. Bring a large pot of water to a boil. Add the rotini and cook until al dente. Drain and set aside. In a large skillet, melt the butter over medium-high heat. Add the mixed vegetables and 1 teaspoon salt and cook until softened and lightly browned, 5–7 minutes. Stir in the flour and cook, stirring constantly, until lightly browned, about 1 minute. Gradually whisk in 1 cup of the chicken broth and cook until thickened. Slowly whisk in the remaining broth, the half and-half and thyme. Add the chicken, vegetable mixture, and pasta and bring to a boil. Reduce the heat to low and simmer for 15 minutes, or until the sauce has thickened. While the chicken mixture is simmering, open the can of biscuits and cut each one into four pieces. Pour the chicken mixture into the prepared baking dish. 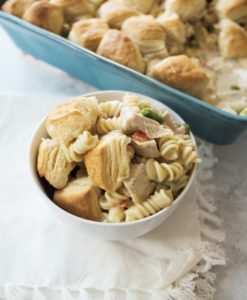 Place the biscuit pieces all over the top of the dish, completely covering the pasta. Bake for 25 minutes, or until the edges are bubbling and the biscuits are golden brown. Serve. Note: To cook the chicken, place the breasts on a baking sheet and bake at 350ºF for 30 minutes.